Saw the first episode of the 13th Doctor. Short version: Watched it. Loved it. Longer takes: As introductions go, the episode was one of the better ones in the show’s history. Proper behind-the-sofa scary at times, a solid mystery, and it’s absolutely wonderful that we’re back to the idea that the companions are random acquaintances, rather than Chosen Ones. Whittaker absolutely inhabited the role from the first moments. There was no adjustment period for me. 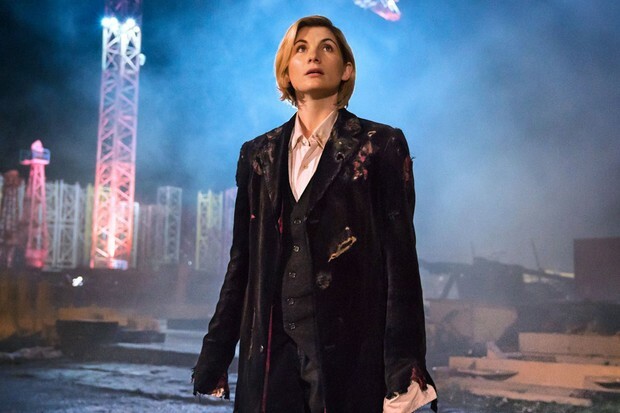 And her spending the majority of the episode in the 12th Doctor’s torn and tattered costume was a nice conveyance of the not-yet-done-regenerating theme. Hell, I even loved the score. After a decade of Murray Gold starting to sound samey-same, the new sound from Segun Akinola was more modern, a bit darker, and really well done. Can’t wait for an album release. Last thought: As a Who fan since childhood (which was more of a rarity here in the US, back in the last century), it took me a bit to get used to the idea, around the time of David Tennant (although hints of it starting to appear with 8th Doctor Paul McGann), of people being attracted to the Doctor. It took a bit for me to wrap my brain around the idea of the Doctor as somebody you’d fancy. The Doctor: “No. Lost them a long time ago.